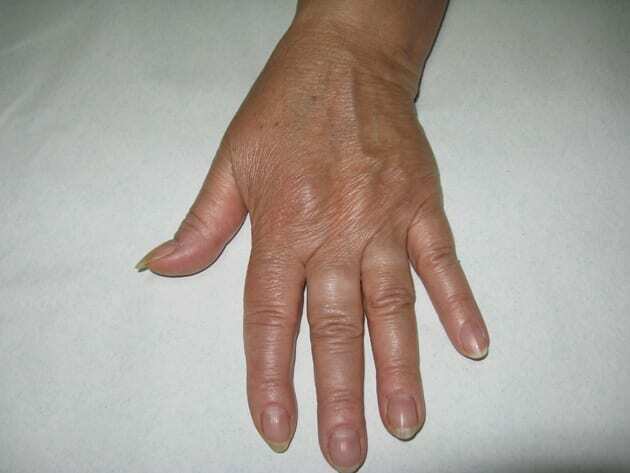 With the passage of time and the physical and chemical aggressions to which we subject the hand skin loses it thickness, is stain, tendon and venous structures are marked giving a senile aspect. Stains are removed with Alexandrite laser that leaves some small scabs that fall between 5 and 7 days. Subsequently when the scabs have healed dermabrasion diamond tipped with which decapamos the skin surface and after infiltration Hydroxyapatite Calcium is performed to fill the spaces between tendons and veins so that the surface smoothing is performed. In these pictures you can see the difference between before and after completing the treatment.